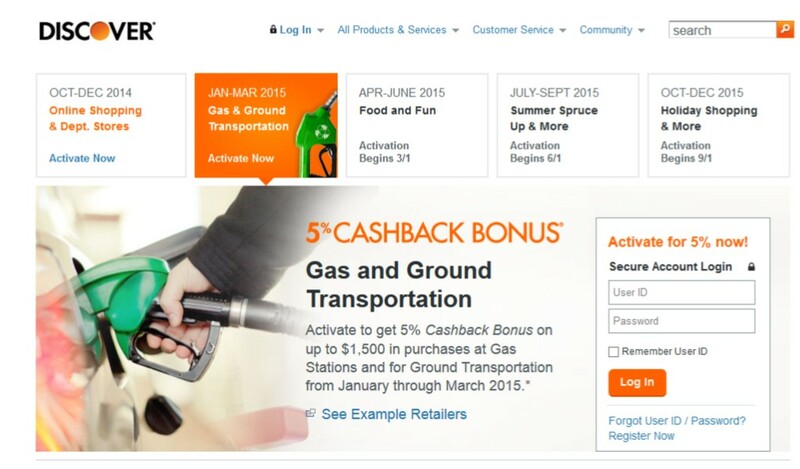 Today is the last day to get 5% bonuses by using the Chase Freedom card at Grocery Stores, Movie Theaters and Starbucks or by using one of the Discover Cards at Gas Stations and for Ground Transportation. Starting tomorrow you can register for Q2 (April-June) bonuses for the Freedom card which includes bonuses on Restaurants. 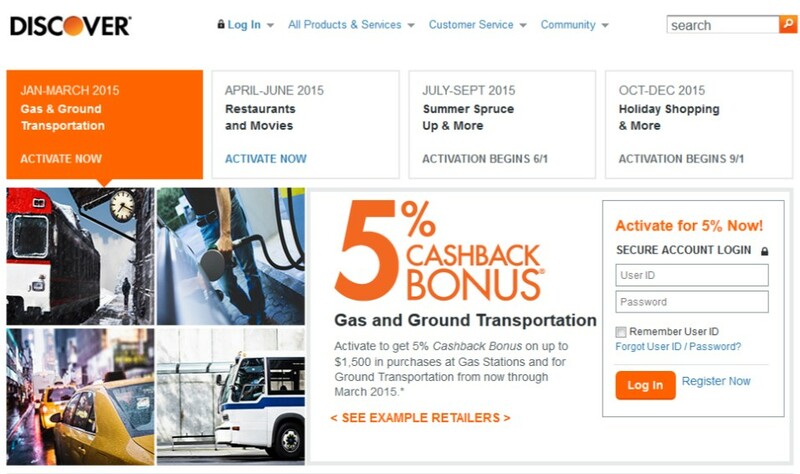 Registration for the Discover card is already open and it will give bonuses on Restaurants and Movies. I loved the Freedom bonus at Grocery Stores and quickly maxed that out. In my area there aren’t many (any?) gas stations that will allow me to purchase gift cards with a credit card so I struggle with that category. I eat out a lot so restaurants are a great category for me – but I’m really bummed that both cards are offering the bonus in the same quarter. I can’t even remember the last time I went to a movie theater so that doesn’t help me but I was surprised to see that both Netflix and RedBox count in the movie category for the Discover card. Both of these cards limit the bonus to the first $1500 in purchases in all of the bonus categories. 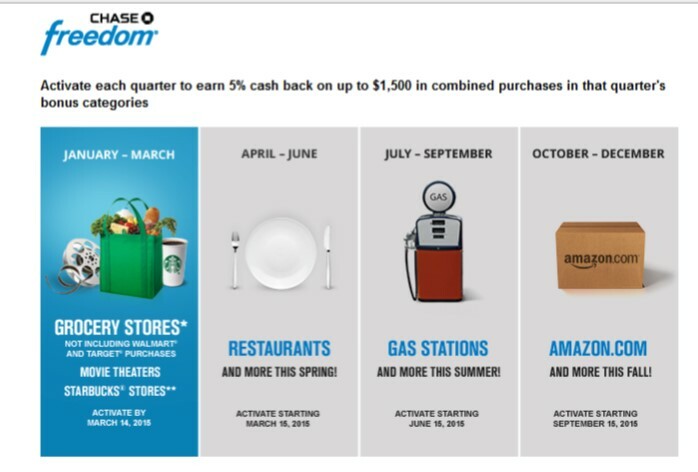 To sign up for these bonuses, log into your account at chase.com or discover.com and you’ll see the link for the promotion.